This award-winning city boutique hotel of designer rooms & suites offers guests a stylish lounge bar called Müi (known for its creative mixology); a secluded sunbathing deck; striking infinite pool, which cascades down into the garden of the intimate spa; and also signature contemporary Mexican dining at the hotel’s acclaimed Moxi Restaurant. 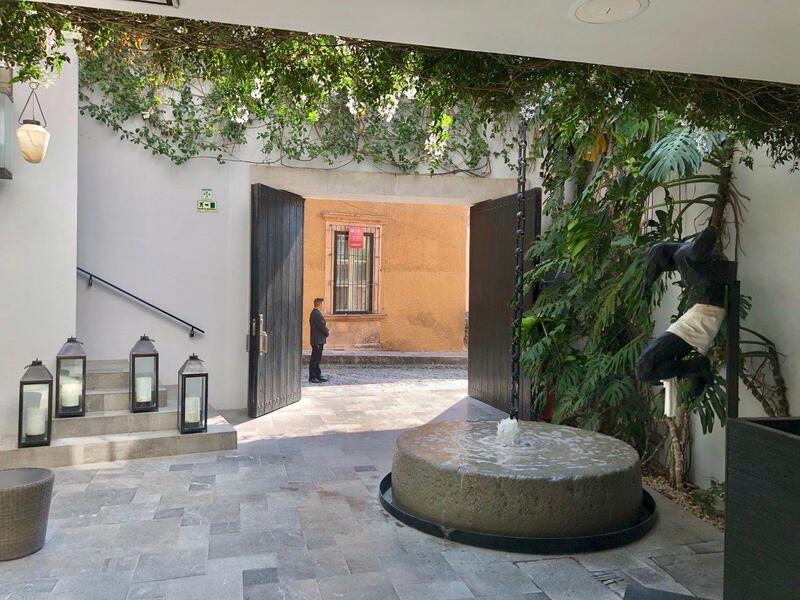 From the moment one steps into the entrance courtyard of Hotel Matilda, it’s clear this is a special property, with a unique style and ambiance. 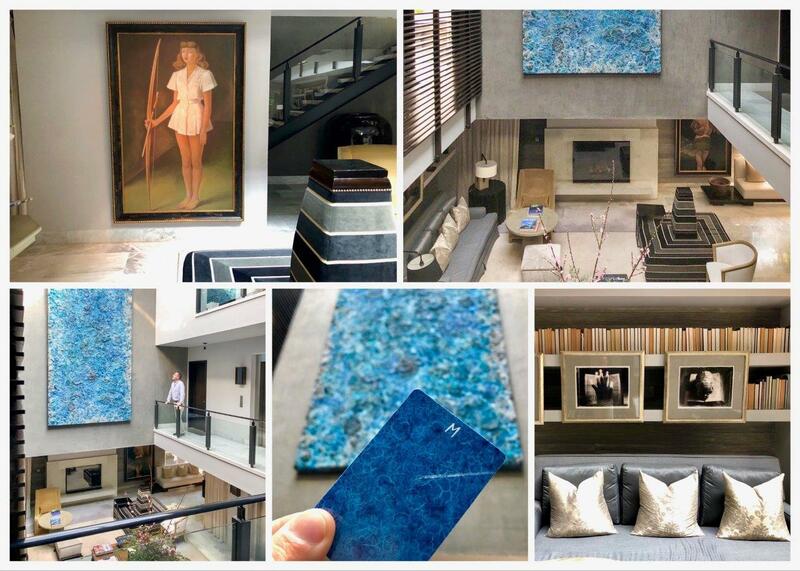 The hotel is home to remarkable art; a collection that defines the energy and soul of the property. 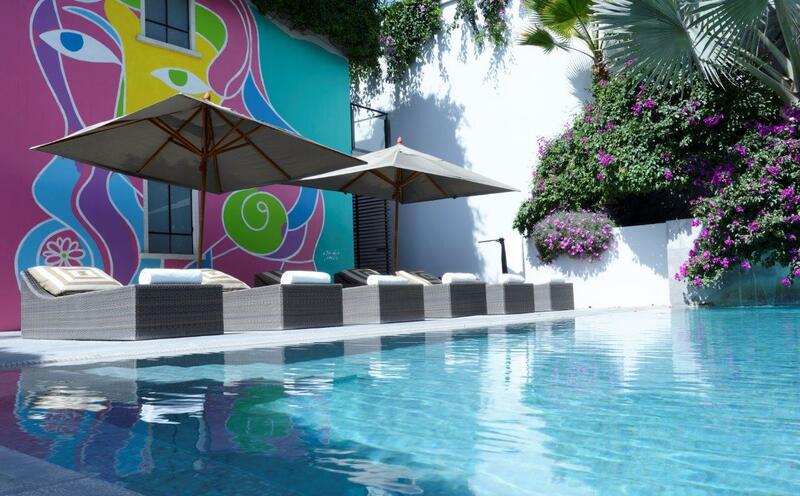 The hotel is set back, behind a high saffron-coloured wall, on one of the city’s most picturesque streets, ‘Aldama’. 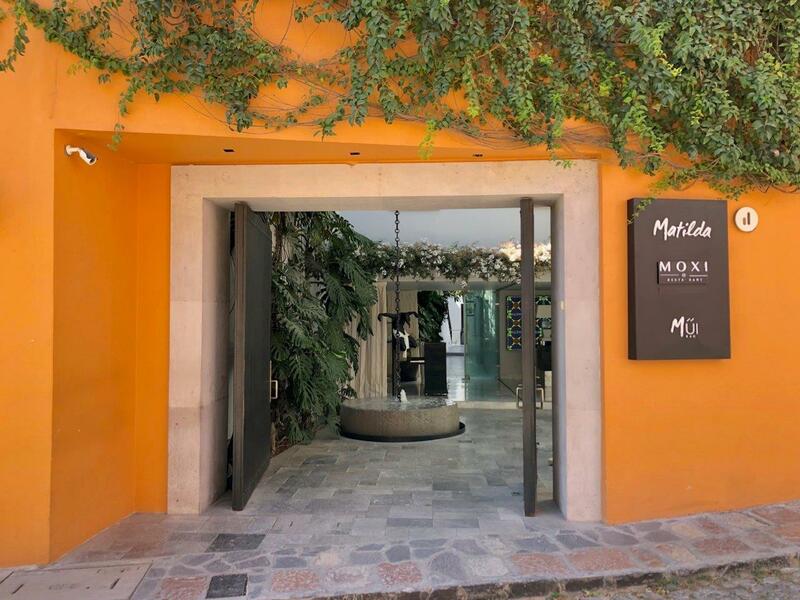 Created by contemporary art collector Harold Stream, the hotel is all about modern Mexico, offering guests a dynamic and contemporary perspective of artistic San Miguel. Passing through the archway one enters a different world. Leaving the bygone charm of the cobbled street behind, one reaches a tranquil, light-filled courtyard that leads to the hotel, a secluded and private place. 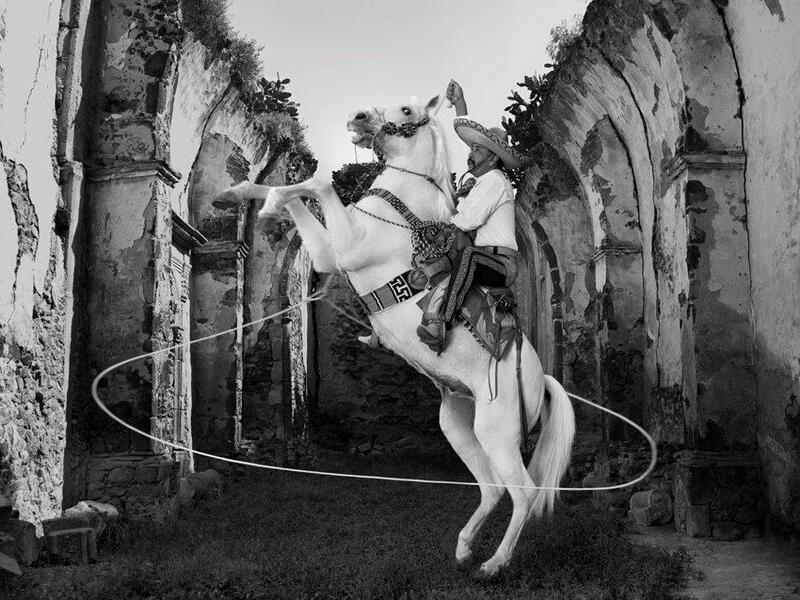 The carefully curated collection of art, from collages, paintings, photography to sculpture, has been distributed across the various indoor and outdoor spaces of the property. As a guest one can experience them in a natural way – so much more compelling than in a formal gallery setting. Hotel Matilda perfectly complements San Miguel as a centre for international art. 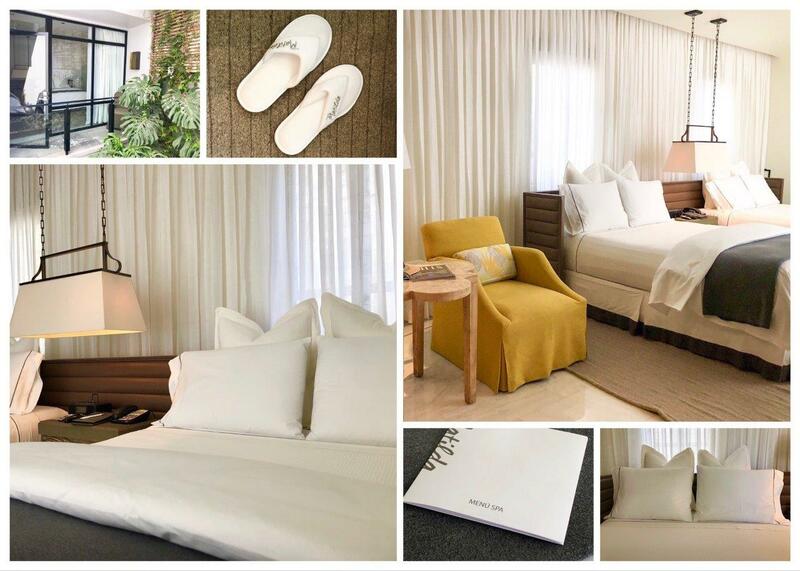 There are 32 guest rooms, including some super-stylish suites. 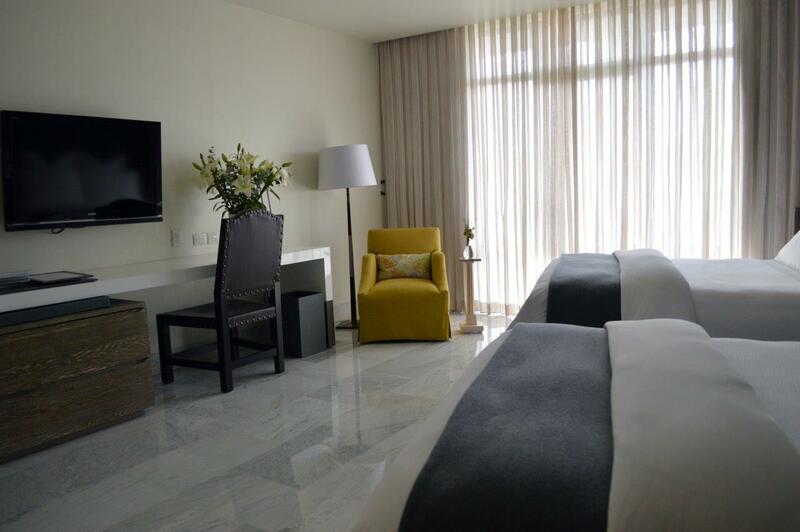 Each guestroom has an uncluttered aesthetic – cool, Mexican calcutta marble floors, decorated in white and grey, with black & white prints by Mexico City photographer Eduardo Zaylan. King sized beds dressed in fine linens sit against leather headboards. I loved the luxurious bathroom with MALIN+GOETZ grooming products, plush robes and the comfiest slippers! Expect minibar, large flat-screen TVs, Bluetooth speaker but I missed a Nespresso coffee machine and kettel to make tea. 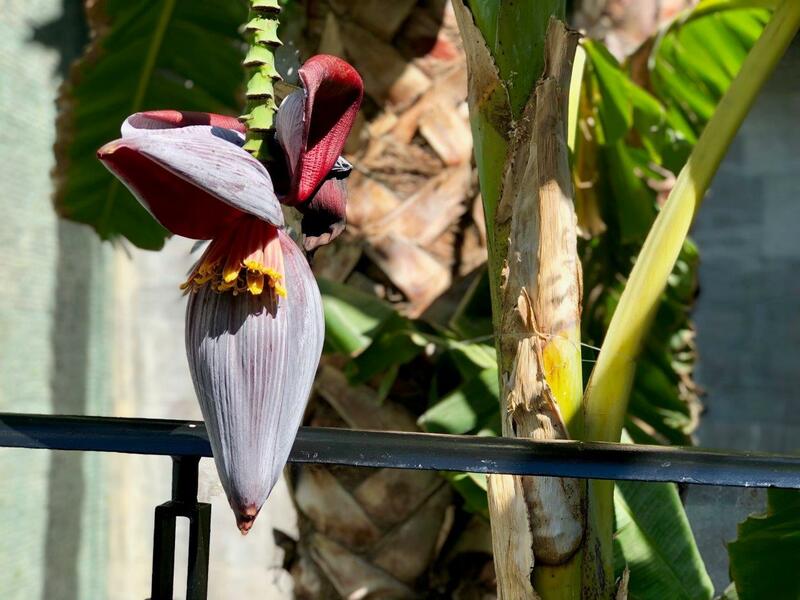 My room had a small terrace balcony over the courtyard, Below was a pergola covered in a sub-tropical vine and jasmine, so opening the door I was greeted with the calming, soothing floral scent. Moxi Restaurant is a central pillar of the sophisticated ‘lifestyle’ guest experience at Hotel Matilda. Completing the creativity on display in the hotel, is the artistry in the hotel’s kitchen. Here the team of Executive Chef Francisco Ibañez showcase Mexican cuisine from a modern perspective, with a farm-to-table ethos. 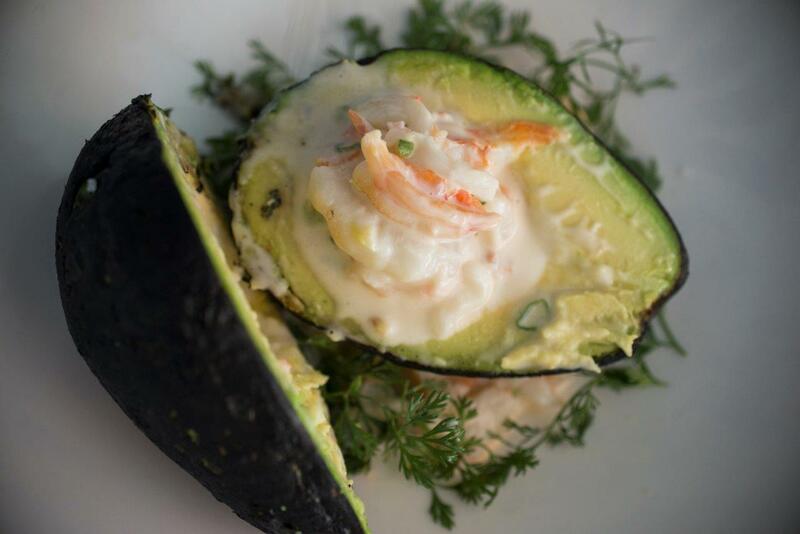 Try starters like Burrata with salsa verde & fried tortilla; and main dishes of ceviche with ginger; or Tatemado avocado, sautéed prawns with lime mayonnaise. 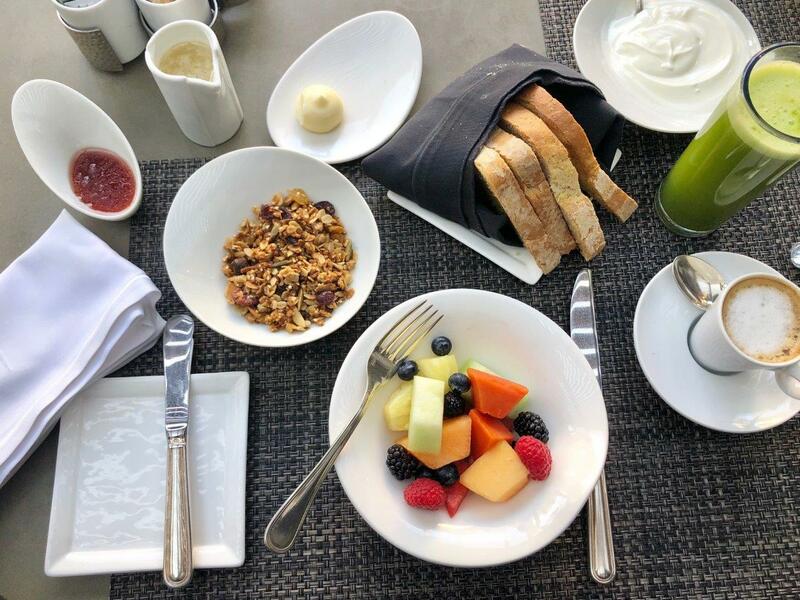 If you don’t make it for dinner, then certainly try and reserve a table for Saturday Brunch. I’m told Moxi means ‘craving’ in the language of the Otami, the indigenous people of the region – so bear in mind if you get peckish, as a guest of Hotel Matilda, you can order anything from the Moxi menu for room-service delivery! 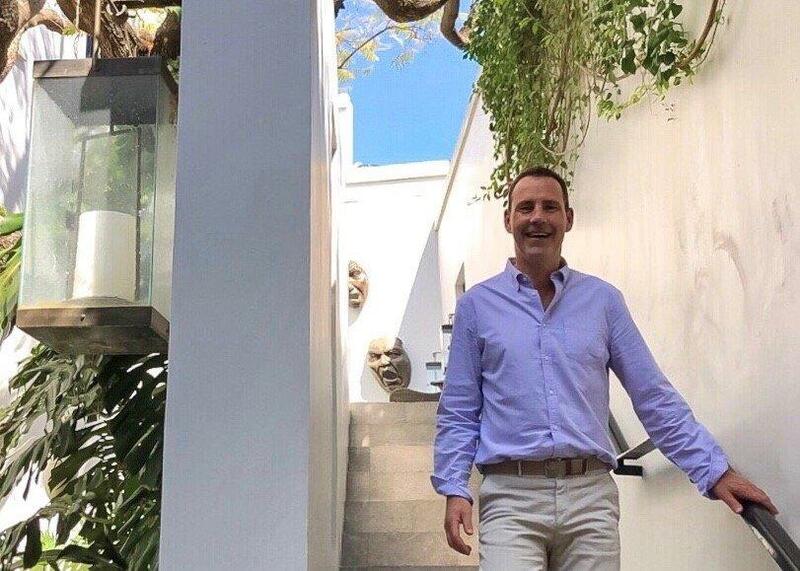 Bruce James, Hotel Matilda Director has been a major influence on the food scene in San Miguel. Not only with his role in establishing Moxi but also his ongoing passion to develop the gastronomic offering in the city. In 2017, together with Juan Pablo Gallegos he established Bovine, a gourmet brasserie in San Miguel. It’s a striking restaurant that showcases the culinary talents of Chef Paul Bentley. 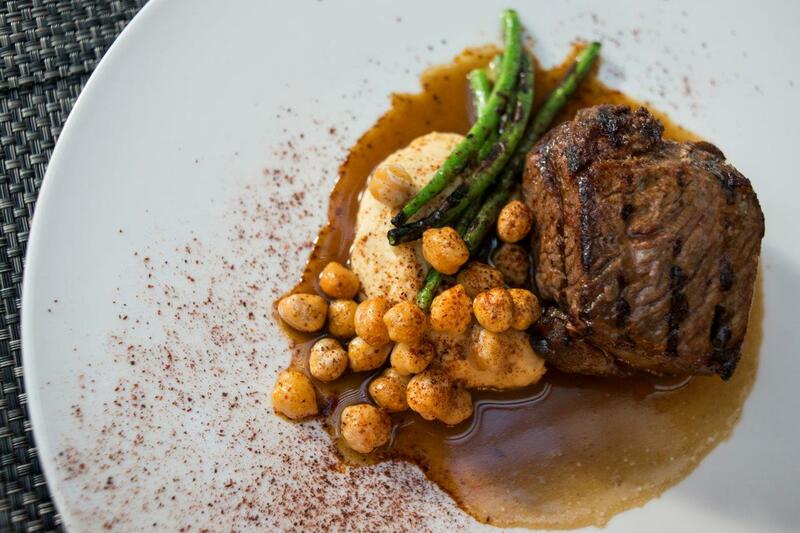 Read our review of Bovine Brasserie, San Miguel de Allende here. …and for the morning-after-the-night before, well, there’s the healing, nourishing, satisfying Hotel Maitilda Breakfast. 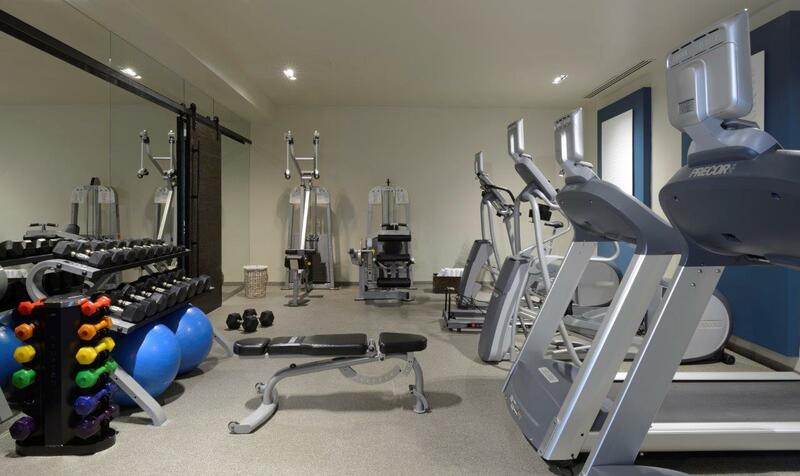 Tucked away on the lower level is the most delightful wellness area. In fact, I arrived early from intercontinental flight, so spent some time in the spa whilst my room was being prepared. It’s bijou but so well-presented with natural light from the small lower level courtyard and garden and thoughtful design touches. 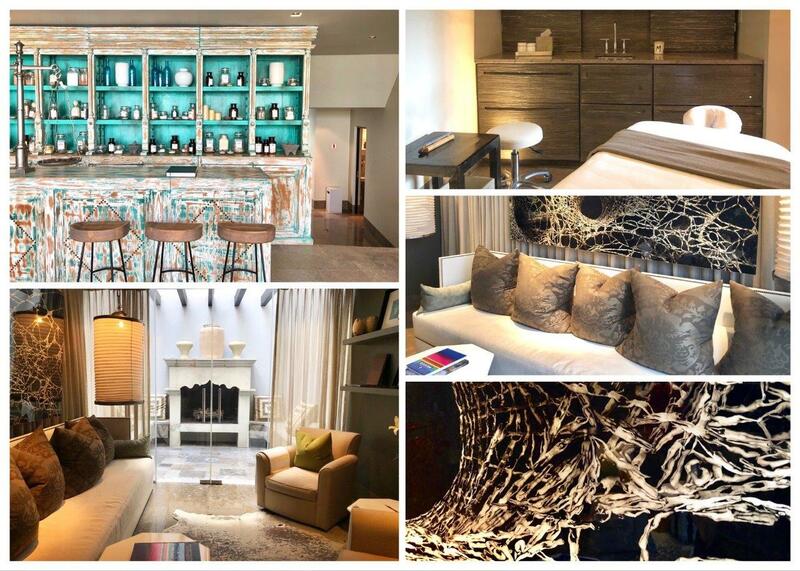 Staying at Hotel Matilda is so much more than a sleek room in a great location. 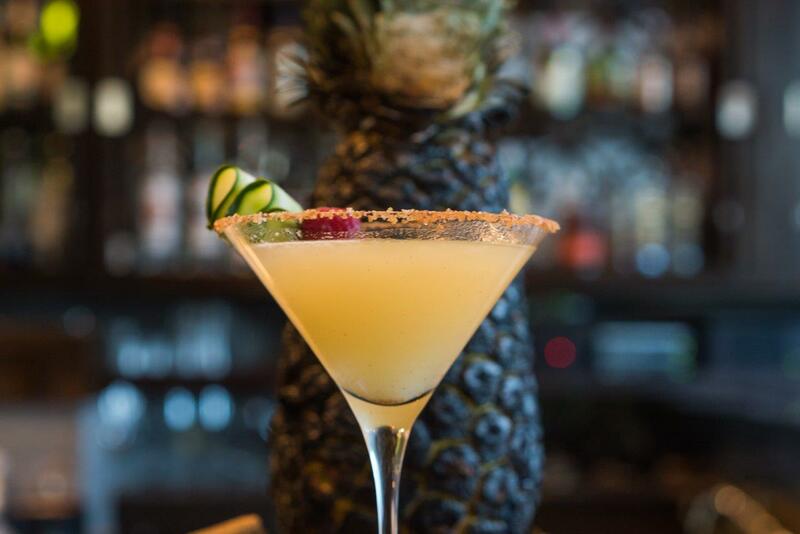 It’s like joining a very special private members club; being part of the stylish, contemporary international Mexican lifestyle. The great dining; the chic surroundings – it’s a captivating. 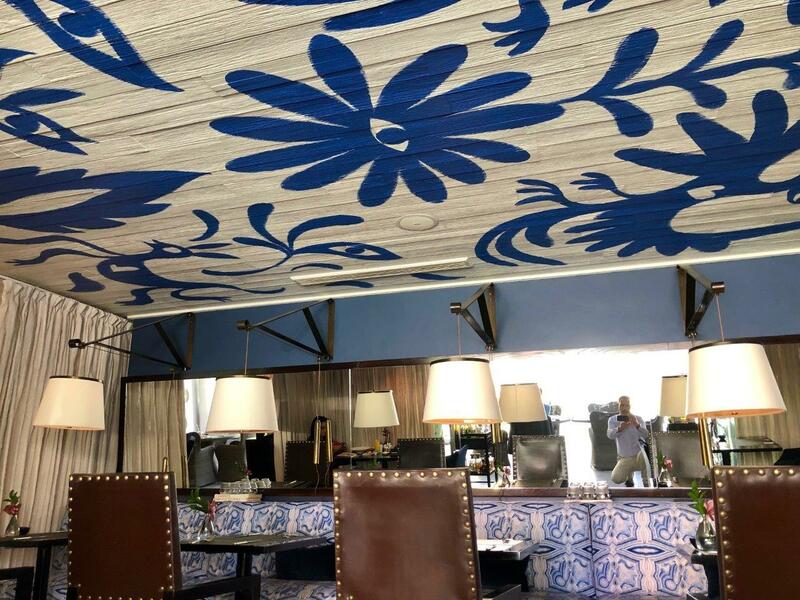 I was eager to learn more about the art, and Gustavo Lopez, the hotel Chief Concierge, was pleased to offer a relaxed tour of the property with anecdotes and information about the pieces. 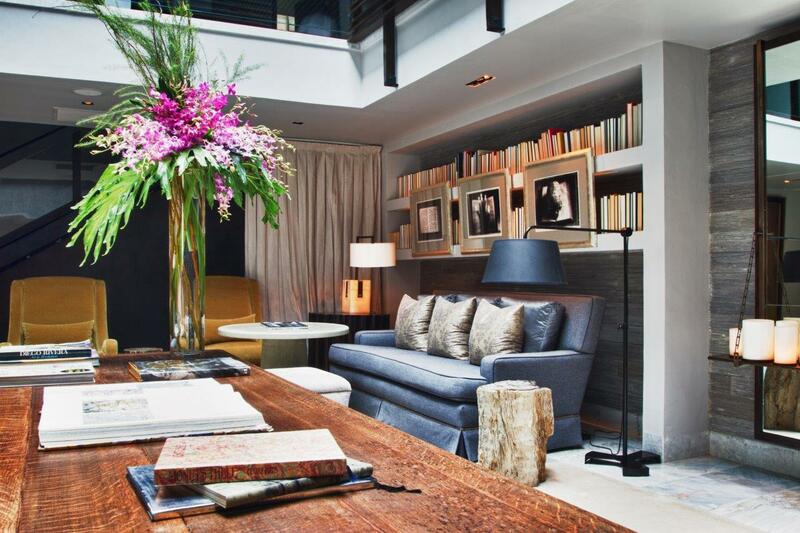 It’s a wonderful way to become connected to the property and feel at home in this remarkable setting. 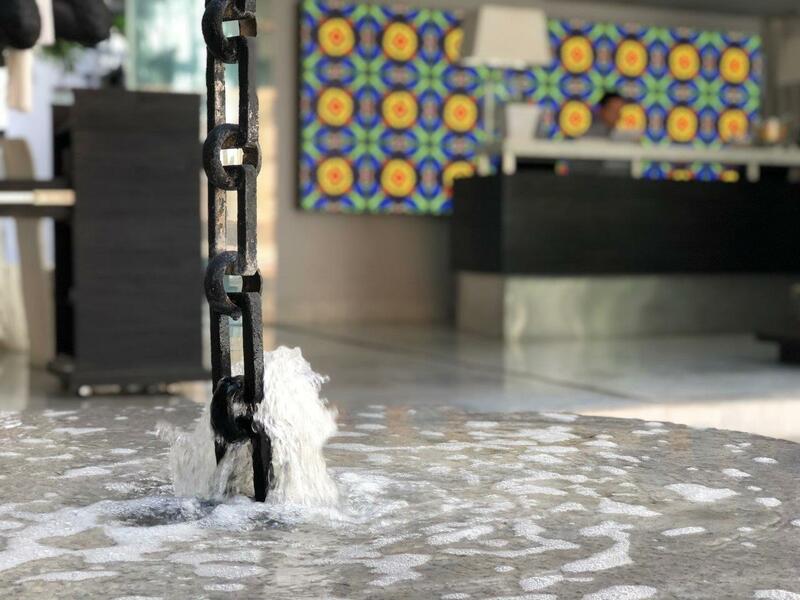 You’ll discover the secrets of each piece; like how artist Nacho Rodriquez Bach has taken traditional Mexican tiles as inspiration and created the ever-changing dynamic, kaleidoscopic light installation on the wall behind reception. The family stories behind owner Harold and his love of art; and the portrait of his mother Matilda. There’s a wealth of anecdotes that really bring this contemporary hotel to life. Ever since a Peruvian artist established the city’s Fine Art School in 1927, creativity and art is an integral part of the visitor experience to San Miguel. The city has over a hundred galleries showcasing all manner of original works from folk to contemporary. 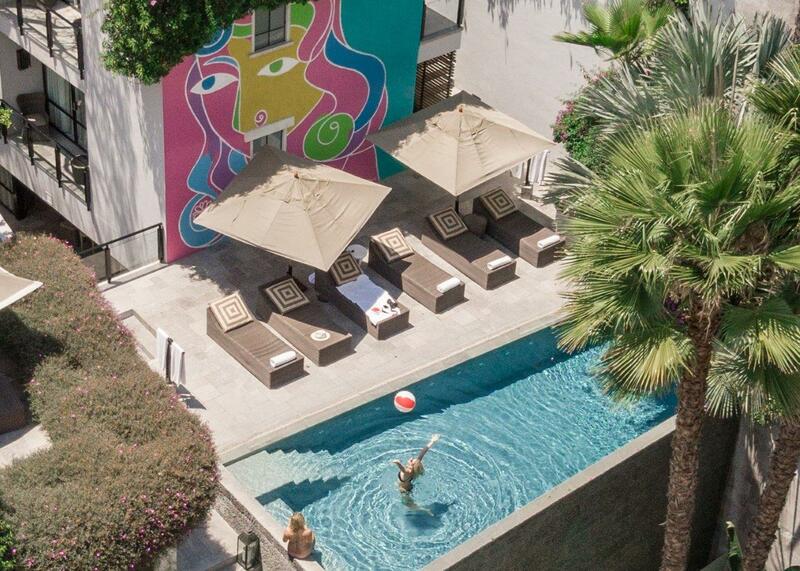 Hotel Matilda is very much part of that on-going story; and as an art hotel it connects guests with Mexican art in an unpretentious way. 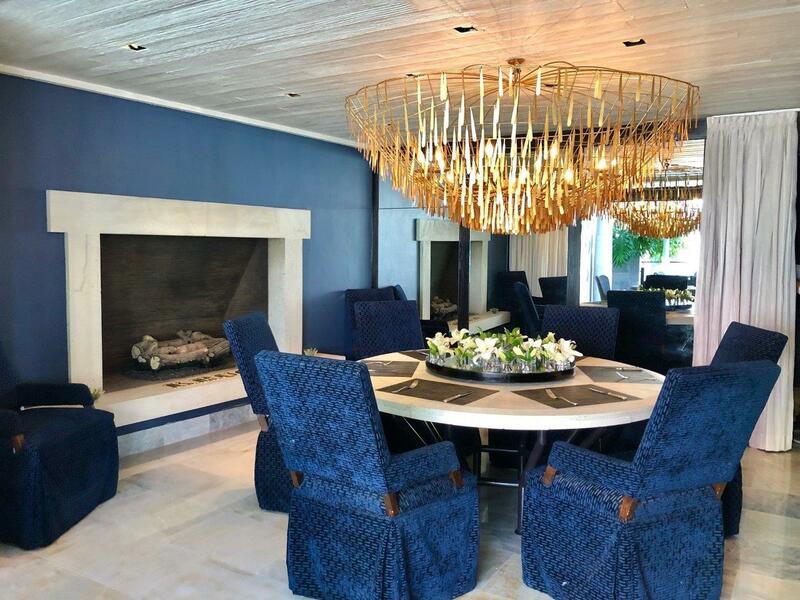 The clean lines and muted tones of this contemporary property are the perfect showcase for Mexican art. 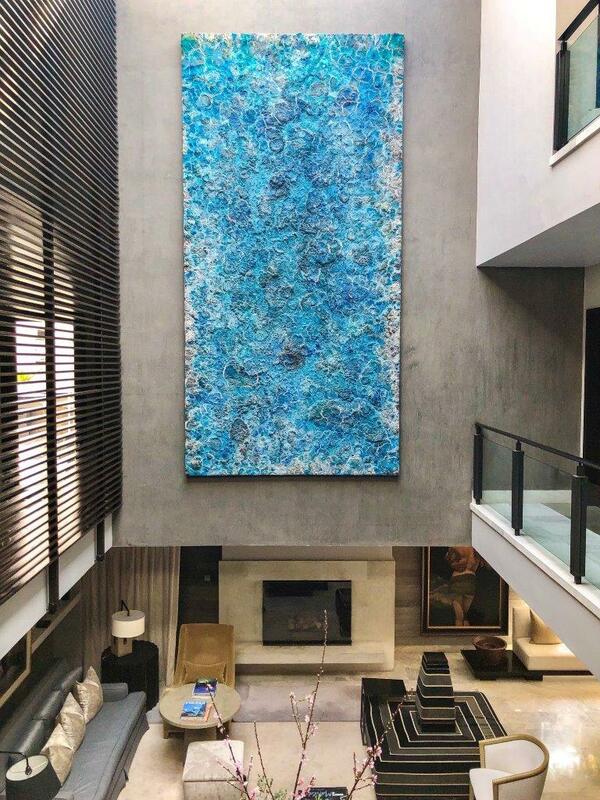 Sculptures by internationally renowned artists Javier Marín and Rodrigo Lara Zendejas are unmissable, whilst hanging in the central atrium, bringing together all the floors of the building, is ‘Blue Pangaea’ by Bosco Sodi, probably the hotel’s signature master piece. 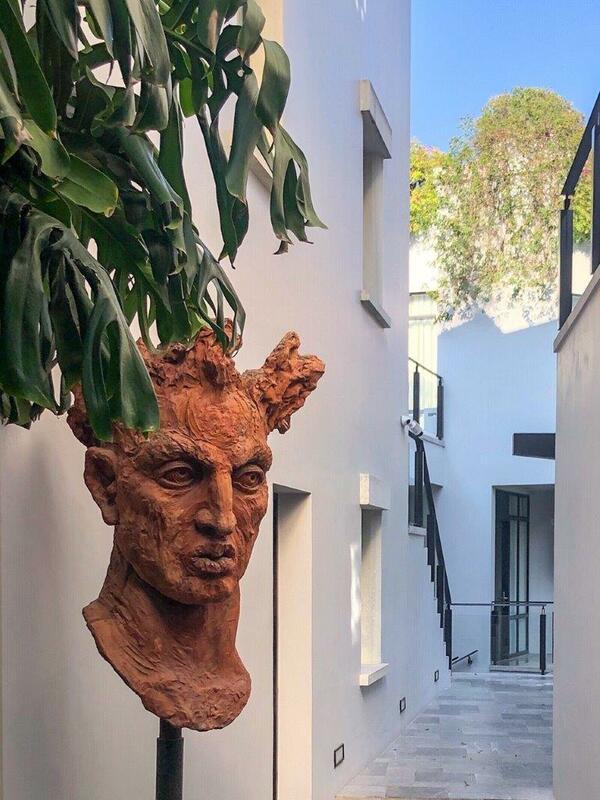 The expressive bust in clay and resin is by internationally renowned Mexican artist Javier Marín – it’s a larger-than-life work that all guests pass walking from the hotel entrance towards the inner courtyard pool and garden terrace. 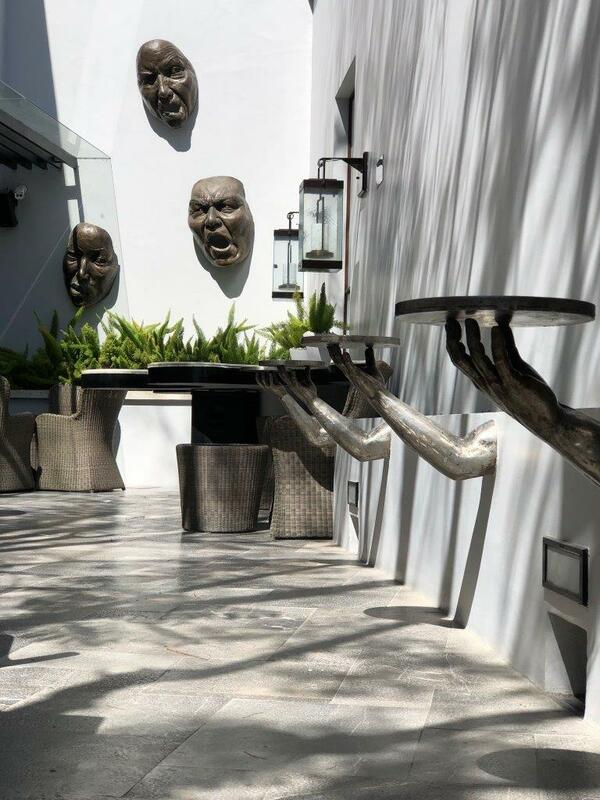 Trio of large bronze masks with distorted faces by Mexican sculptor Rodrigo Lara Zendejas decorate the bar terrace. 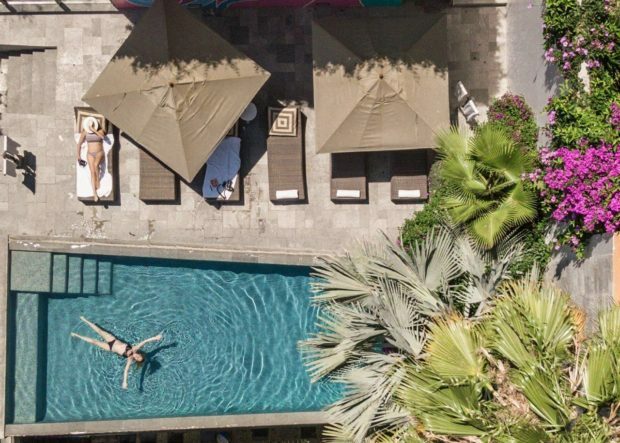 This architect-designed hotel was the pioneer of San Miguel’s upscale hospitality sector and remains the benchmark against which others are measured. The traditional architectural aesthetic of UNESCO San Miguel de Allende is carefully protected. New-build is typically created in the style of existing period architecture. Yet Hotel Matilda is refreshing differently. 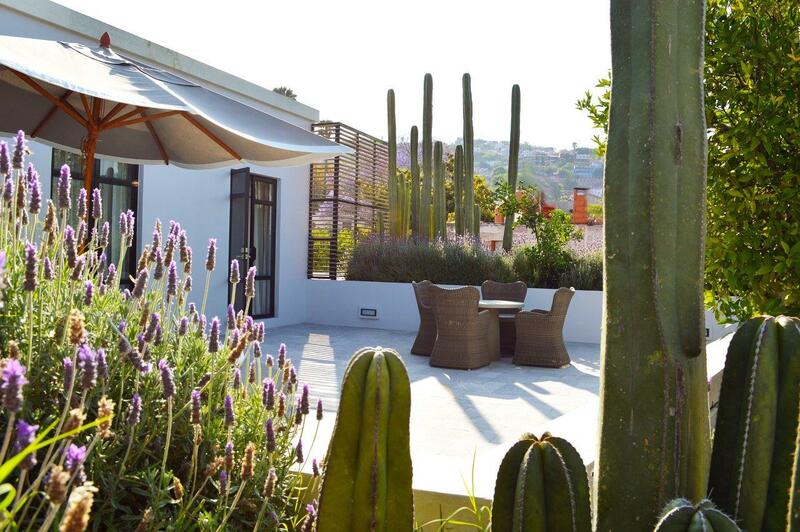 Built from local and regional Mexican materials, with planting that reflects the local landscape and climate, Hotel Matilda complements its surroundings. Yet it is vibrantly different too. The ingenious design has allowed 6 levels to be created within the space of the traditional 2 storey buildings in the street. One enters on the third level, the ground floor, from where you can head down to the lower level garden and spa. Below that is the basement parking. 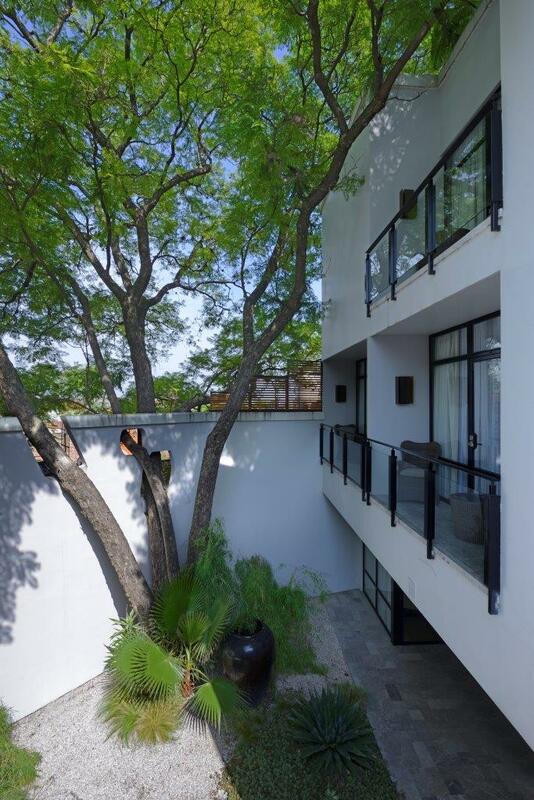 The guest rooms are on the upper levels; each with their own style, some with terraces. After a day exploring the stone-cobbled streets of the city, it’s great to come back to this hip and on-trend sanctuary to relax by the pool or sip a cocktail in the lounge bar. It’s the modern Mexico I think I’ve fallen in love with. 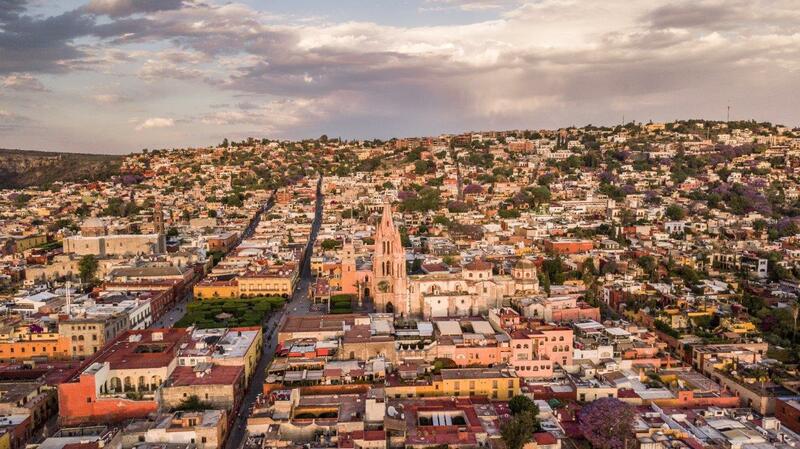 San Miguel de Allende is surely one of Mexico’s most romantic cities – full of alluring Spanish colonial era architecture, a skyline of spires and domes, against a backdrop of mountains. 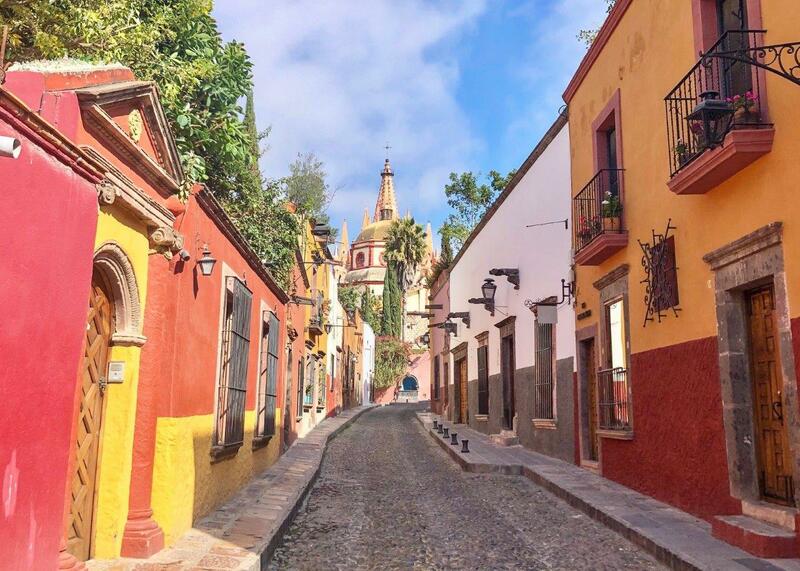 Around 250 km north west of Mexico City, UNESCO recognised San Miguel is a seductive architectural treasure trove of palaces, mansions, convents and churches, in terracotta, saffron, orange and ochre hues. I took a car transfer from Mexico City airport, about a 2 ½ hour drive. One can fly into one of the two regional airports – Queretaro Airport (QRO) about an hour away; and also, Leon’s Del Bajio Airport (BJX), about 75 minutes away.